Join us for one of the most exciting water based activity on this planet. Kolad is situated on the bank of Kundalika in Maharashtra, which is just few hours drive from Mumbai and Pune. 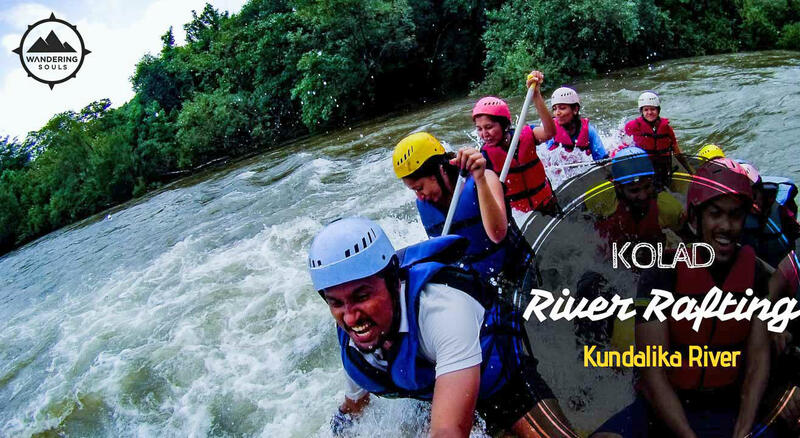 The Kundalika River is the major factor behind people’s choice to do white water rafting in Kolad. It is one of the fastest flowing rivers in the south that makes it water ideal for adventure filled rafting. Rafting in Kolad can be done any time during the year since the river will remain intact throughout the year but of course, monsoon has special interest in Kolad so that many of the adventure lovers admire being at Kolad during the rainy season when the rapids may grow up to another level of adventure. 14:30 hrs Say your goodbyes with a promise to meet again, leave for Mumbai in our Bus. This brings us to the end of our trip, Or rather just the beginning.